The fifth annual Resonant Bodies Festival opens with Grammy-nominated jazz singer and composer Theo Bleckmann performing “Songs in Color and Black and White,” a piece he has written and developed over the past seventeen years. Culture Ireland supports the appearance of the wild and unpredictable Jennifer Walshe—composer, improviser, and vocalist— who will collaborate with International Contemporary Ensemble (ICE) in presenting “The Church of Frequency and Protein.” “Charismatic, full-voiced bass-baritone” (New York Times) Davóne Tines will present compositions of his own creation for voice and piano, as well as arrangements of traditional songs, in a 45-minute work that includes light sculptures commemorating innocent black lives taken through police violence. 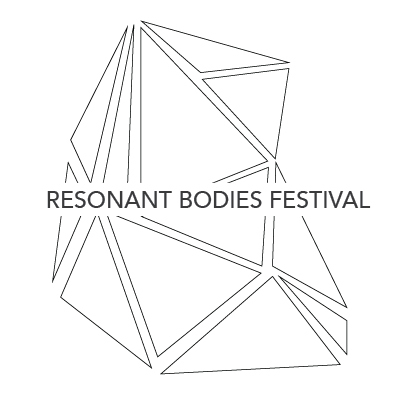 Founded in 2013, Resonant Bodies Festival is a one-of-a-kind opportunity to hear expert contemporary music vocalists present repertoire that feeds their passion. Presented over three nights, nine dynamic and unique vocalists curate and present 45-minute sets expressing their particular blend of musical tastes. The Festival recently expanded to Australia and was presented at the Melbourne Recital Center in May, 2017, with further expansion on the horizon: a Chicago Festival will take place at Constellation April 6-8, 2018; RBF Sydney is scheduled for August 31-September 1, 2018, at Carriageworks; and a Los Angeles Festival is slated for fall, 2018. Expanding the Festival to other parts of the world widens the conversation about new vocal music and meets the Festival’s mission of challenging and transforming the role of the vocal recitalist. Past Festival vocalists range from world-renowned soprano Dawn Upshaw to up-and-coming stars like Julia Bullock and Sophia Burgos. In the past five Festivals (four in NYC and one in Melbourne), RBF has facilitated 63 world premieres (having presented more than 160 works for voice ranging from 3-45 minutes in length).